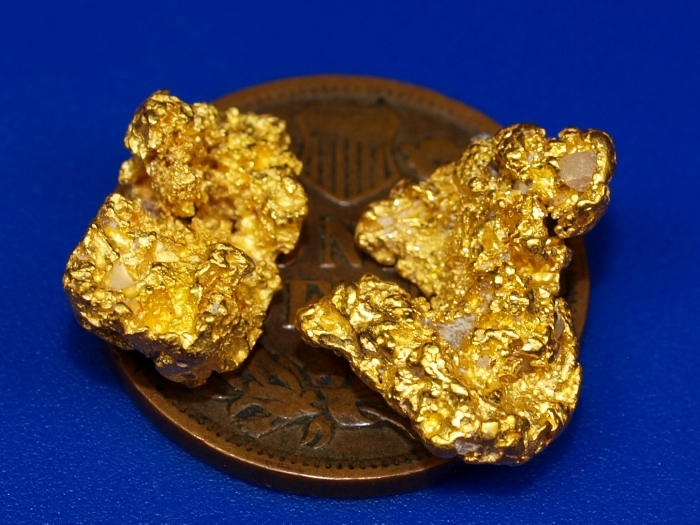 Two Gorgeous Natural Gold Nuggets from Australia - WOW! 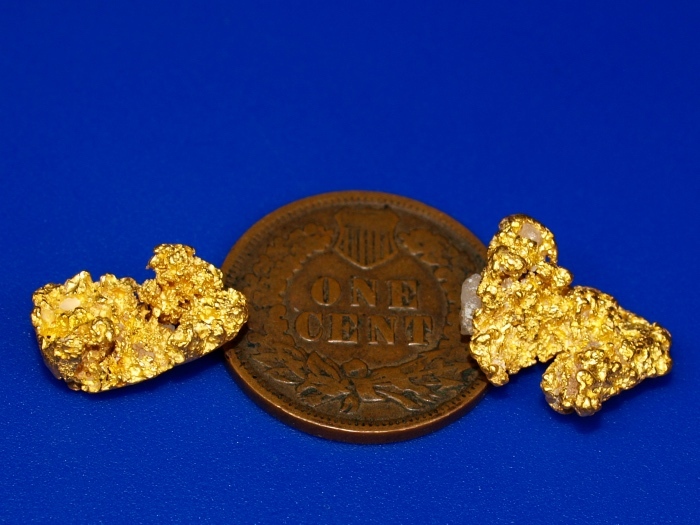 Here we have a pair of exceptional little gold nugget from the Kalgoorlie goldfields. These beauties are super bright and clean. 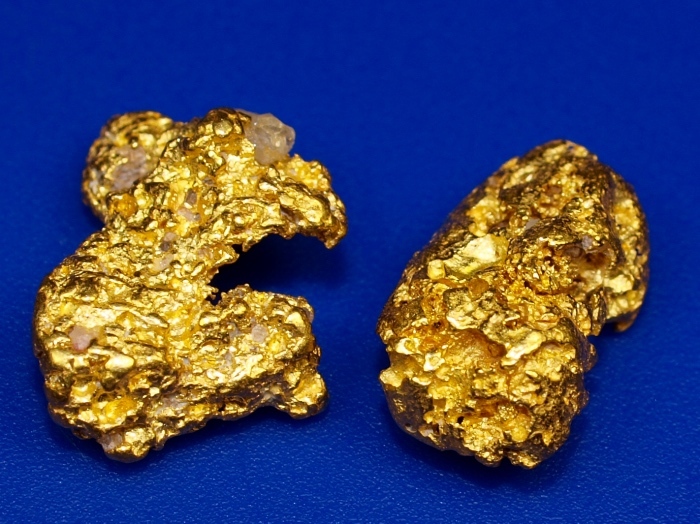 They have a combined weight of 5.44 grams. They will make a fine addition to a rare mineral collection. The penny in the photo is for size reference only. It will ship for FREE and comes in a nice display case.